The English springer spaniel is an avid hunter, and with basic obedience and field training combined, they can learn to hunt rabbits quickly and effectively. 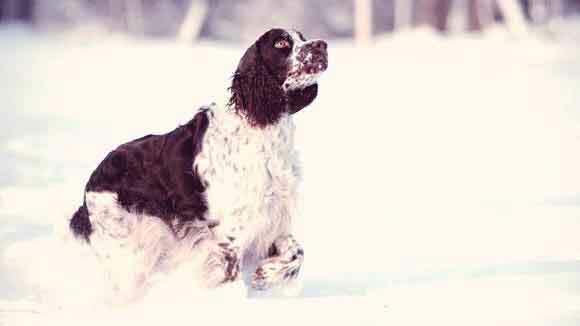 The English springer spaniel originally was used to flush out game, mostly waterfowl, that was often then pursued by the smaller, closely related cocker spaniel. Today, English springer spaniels are known as waterfowl hunters, but they can be enthusiastic and skilled rabbit hunters as well. With some basic obedience and field training in place, English springer spaniels can learn to hunt rabbits effectively and quickly. 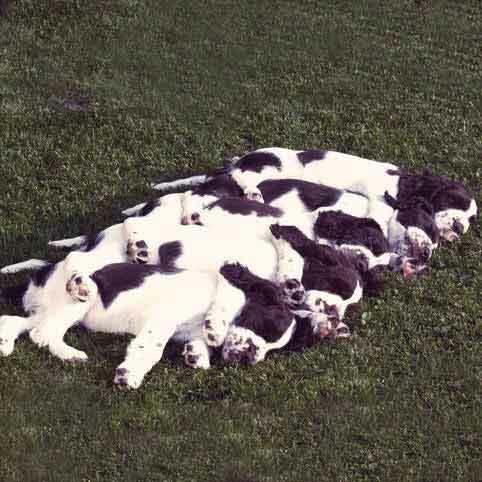 Start training your English Springer spaniel early. Rabbit hunting requires a type of training that is more advanced than basic obedience. 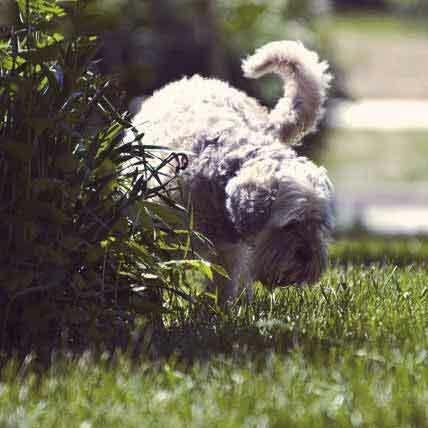 Basic obedience training should come first, so that the dog has a basic knowledge of following commands before learning rabbit-hunting commands. Start obedience with your puppy at around 2 to 3 months of age. The English Springer Spaniel Field Trial Association also recommends that dogs undergo some basic field training prior to working as hunting dogs, saying "A springer with basic obedience training and some introductory field training will be able to fulfill most hunters’ desires." The "Hup" command is important for the English springer spaniel to learn, because it teaches the dog control. While the natural exuberance of the breed might push the dog to bound ahead too early in pursuit of the prey, the well-trained English springer spaniel should know how to hold a position until given the release command. 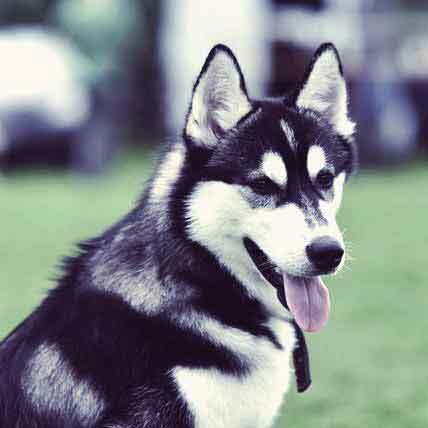 "Hup" is a hunting command that simply tells the dog to sit in place and hold the sit until released. Your English springer spaniel may never have seen a rabbit before, so it is important to educate the dog about how a rabbit looks, smells and behaves. Introduce your dog to rabbits in a non-hunting situation: If possible, in an area where there are wild rabbits similar to those you will be hunting. Allow your English springer spaniel to chase the rabbits. This exercise will be valuable in the future, because the dog will know exactly what to hunt. Your English springer spaniel can learn a lot about hunting rabbits by following the best teachers of all: experienced rabbit-hunting dogs. Prior to your young dog's solo rabbit-hunting debut, take the dog along on a hunt with experienced dogs. The more experienced dogs don't necessarily have to be older English springer spaniels: Beagles are often used in rabbit hunting, and other breeds such as greyhounds and Weimaraners also are skilled rabbit hunters. When your English springer spaniel follows the experienced dogs, newly learned hunting skills will become easier and more instinctive. 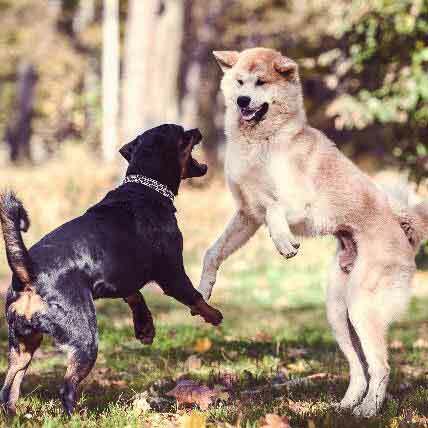 Dobbs Dogs: Teaching the Pup to "Hup"